Some people skip breakfast in an effort to lose weight, but that's not a good idea. It can backfire. Skipping meals, especially breakfast, can actually make weight control more difficult. Breakfast skippers tend to eat more food than usual at the next meal, or nibble on high-calorie snacks to stave off hunger. Some studies suggest that people tend to add more body fat when they eat fewer, larger meals than when they eat the same number of calories in smaller, more frequent meals. 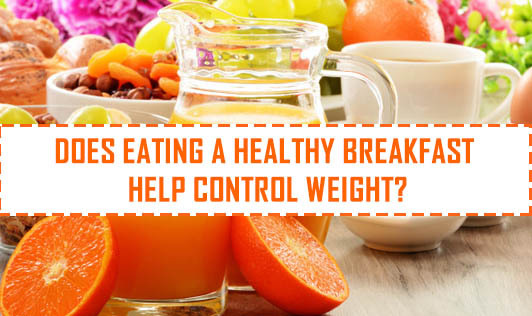 Other studies show that weight management can be equally effective without breakfast . Short on time? Eating a wholesome, nutritious morning meal will probably save you time in the long run. By recharging the brain and body, you'll be more efficient in just about everything you do. Reduced hunger. Eating breakfast may reduce your hunger later in the day, which may make it easier to avoid overeating. When you skip breakfast, you may feel ravenous later and be tempted to reach for a quick fix — such as vending machine candy or doughnuts. In addition, the prolonged fasting that occurs when you skip breakfast can increase your body's insulin response, which in turn increases fat storage and weight gain. Healthy choices. Eating breakfast may get you on track to make healthy choices all day. People who eat breakfast tend to eat a healthier overall diet, one that is more nutritious and lower in fat. In contrast, people who skip breakfast are more likely to skip fruits and vegetables the rest of the day, too. So, if you skip breakfast — whether you're trying to save time or cut calories — you may want to reconsider, especially if you're trying to eat a healthy diet and manage your weight.